Can you believe that the land size of Japan is approximately equivalent to that of California?! For a country of its size, there are so many destinations to choose from when planning a trip to Japan. Every time I visit, I always have to sacrifice a place or city from my list – there is often not enough time! 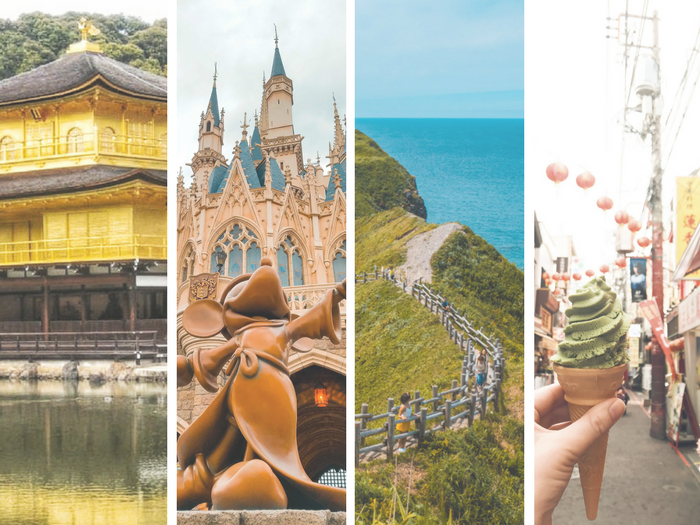 This week, I asked some of my favorite travel bloggers to share their favorite places in Japan to visit. 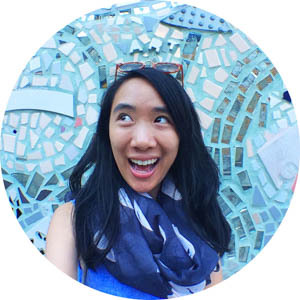 If you’re looking for Japan inspiration, read on – these travel bloggers have you covered! Often overshadowed by the largest city in the world, Yokohama is a wonderful place to visit if you love being by the water, shopping or exploring cities. Being the second largest city in Japan, it is home to the largest Chinatown in Asia (you must try Matcha ice cream and steamed buns), the interactive Cup Noodles Museum and amazing views from the Ferris wheel or Landmark Tower. Check out a local festival at the Red Brick Warehouse (or ice skate if you are a visiting in winter), and even picnic at the Osanbashi Pier if warmer weather is your travel companion. I also can’t recommend attending a Japanese baseball game during your visit to this amazing country, and the Yokohama BayStars Stadium is the perfect place! Whether you spend a weekend or make this a very doable day trip from Tokyo, I think you will be pleasantly surprised with this seaside city! 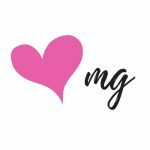 You can follow Katherine’s adventures on Instagram, Facebook and Twitter. 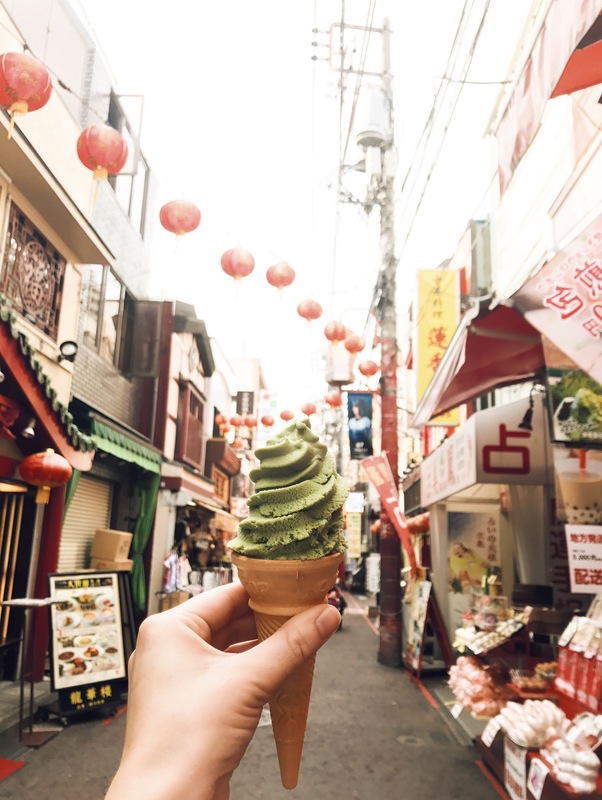 Check out that Matcha soft serve – I would lick my screen if I could! Koyasan is a cute little town South of Osaka. It is home to more than 115 temples and 500 monks. I’ve never found a place so peaceful and tranquil anywhere in the world before! 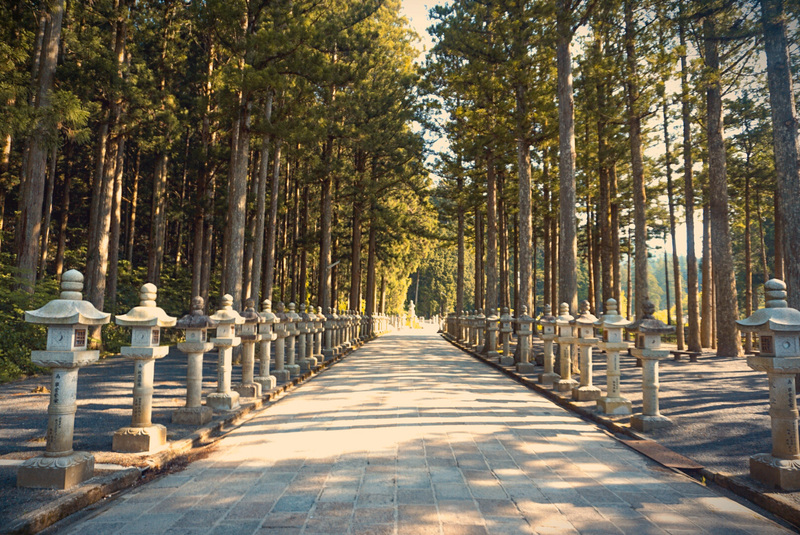 Koyasan is known to be the most sacred place in Japan. During your stay, you can join the morning prayer of the monks or even stay in one of the temples overnight. For us, visiting Koyasan was definitely an amazing and unique experience. Make sure you check out Vicki’s blog to find out more about visiting Koyasan, one of Japan’s most sacred towns. You can also follow Vicki’s adventures on her Instagram and Facebook. Beppu is an onsen (hot spring) city located in the Southern island of Japan – Kyushu. With more than 2000 onsens and 8 hells, Beppu has become one of the top spots for both local Japanese tourists and international visitors. Visiting Beppu, you not only enjoy the uniqueness of hells but also get to experience the hot springs with an extraordinary view. The best time to visit Japan or Beppu, in particular, is around March – April, so you can enjoy the beauty of blooming cherry blossom as well! Kyoto is one of my favorite places to visit in Japan especially for those looking for a taste of old-world Japan. From Buddhist temples (over 1000! 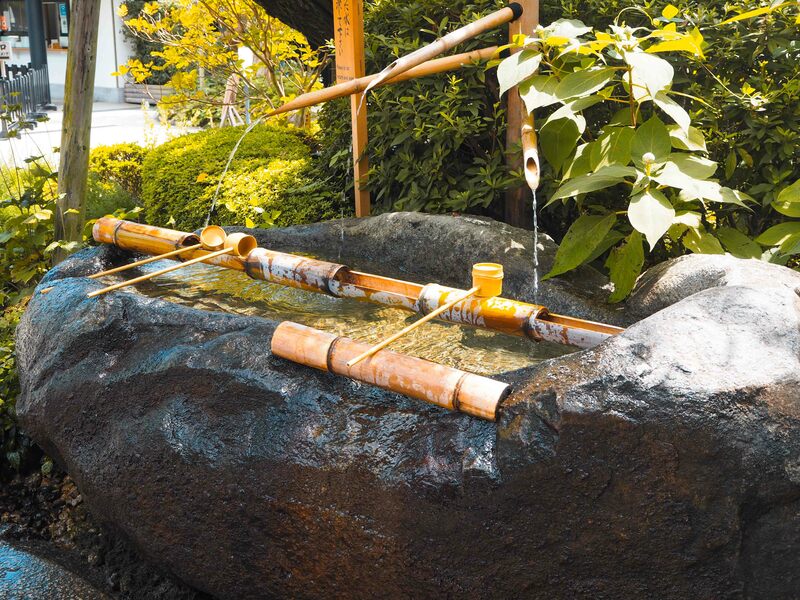 ), Shinto shrines and Zen gardens to the famous bamboo forest, Kyoto has something for everyone. You can also catch a glimpse of an elusive geisha in the Gion district. Although it is beautiful year round, if you visit in the spring, Kyoto is one of the best places in Japan to enjoy the cherry blossoms. 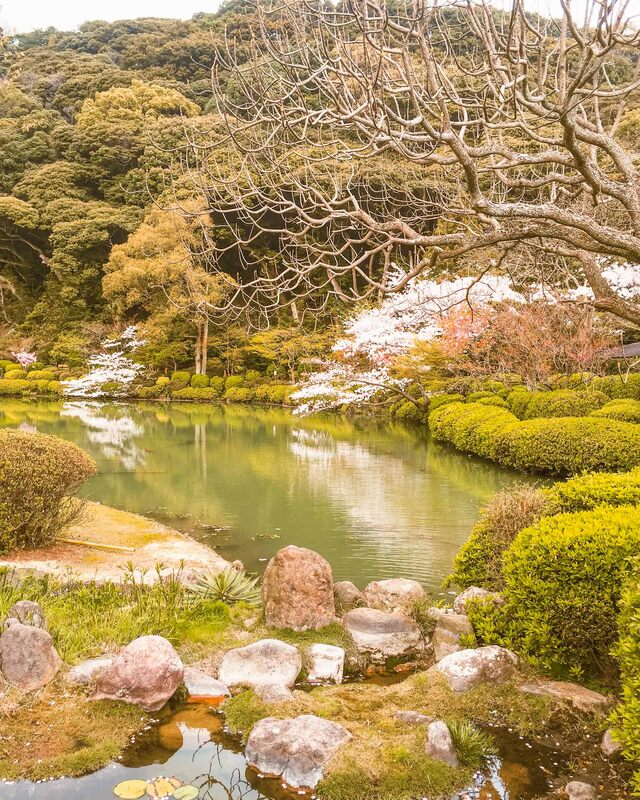 Make sure you check out “3 days in Kyoto: The Perfect Itinerary” on The Travel Sisters blog. 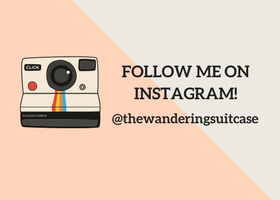 You can follow The Travel Sister’s adventures on Instagram, Facebook and Twitter. Hokkaido is one of those places where it doesn’t matter what time of year you visit– the island changes colors every season and every sight is just as beautiful as the next. Come during autumn, to walk between hills of orange, red, and yellow trees, winter– to relax in a hot spring in the middle of snow-covered mountains, spring– to run through rainbow colored fields of tulips, and summer– to cool down with lavender ice cream in the middle of a lavender field. I came during summer specifically for their Sapporo Beer Festival and was impressed by the vibrant colors of the mountains, flowers, and ocean. If you love vibrant colors of nature, relaxed living, with fresh & delicious food, I urge you to travel to Hokkaido, there’s no place like it. 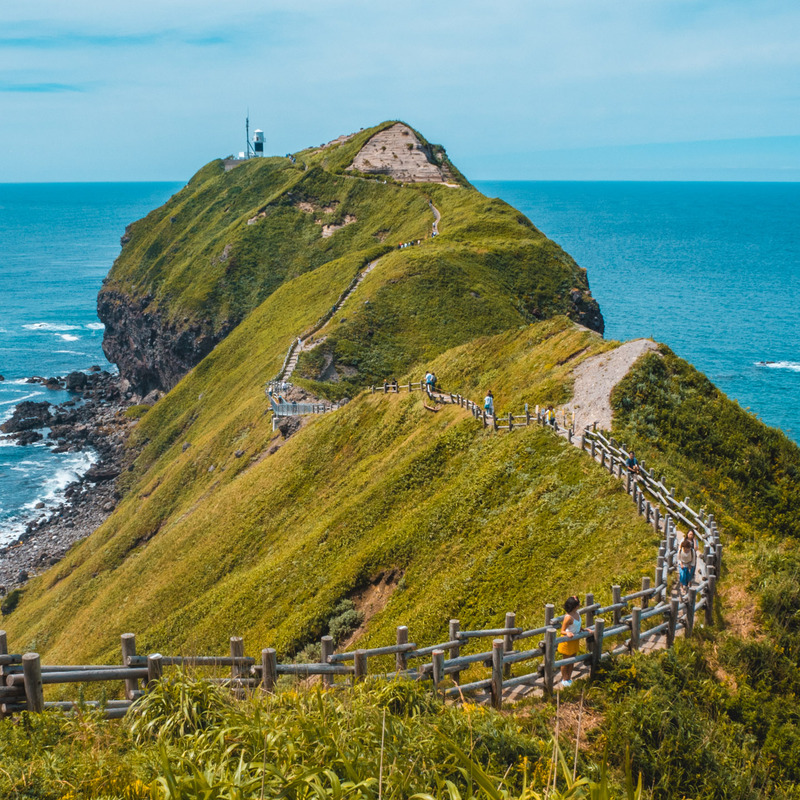 Picturesque views from Cape Kamui in Hokkaido – check out that water!! Even though it is only about 1 hour away from Tokyo, it has a lot to offer in terms of nature (the ocean and nice beaches for surfing and other watersports activities, beautiful hiking trails through bamboo and other forests and romantic Japanese parks and gardens). But it is also an amazing place to learn about Japanese culture and history, being home to hundreds of temples and shrines, many hundreds of years old. It has so many facets that no matter what kind of interests you have, it will never get boring, and it just makes for a perfect day trip from Tokyo. You can follow Lena’s adventures on Twitter, Facebook and Instagram. Japan is such a diverse and beautiful country, it’s nearly impossible to pick a favorite place. Tokyo may seem like an unusual choice in a country full of majestic landscapes, but it holds a special place in my heart. I am not a city person by nature. Usually, the first thing I do when I land in a new city in a new country is hightail it out of there. Cities have always come across to me as somewhat monotonous and definitely expensive, but Tokyo is different (though you could easily empty your wallet here if you wanted to). The people are polite and friendly, transit is efficient and timely, and there is definitely something for everybody. There are so many neighborhoods in Tokyo, you could spend a lifetime exploring them all. For me and my wife, Laura, we especially loved the LGBTQ scene in the city. True, you won’t see any PDAs (public displays of affection), but there is a whole neighborhood devoted to bars and other establishments catering specifically to the LGBTQ crowd. 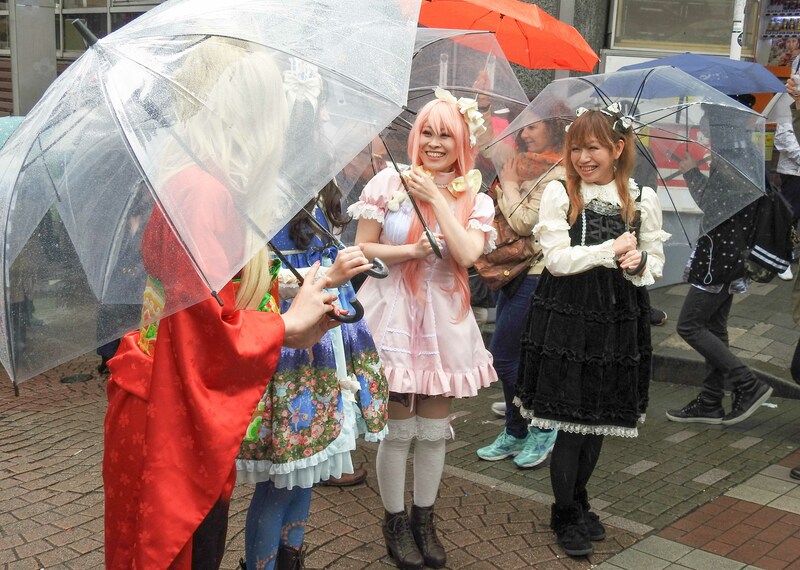 What makes Tokyo even more unique is that it has a vibrant lesbian scene – something that is difficult to find the world over. You can follow Jennifer’s adventures on Facebook and Instagram. If you’re a Disney nerd like me, Tokyo Disney is a must visit when in Japan! You get to experience new takes on Disney staples like the Tower of Terror and the Tiki Room all while enjoying inventive Japanese style Disney food. 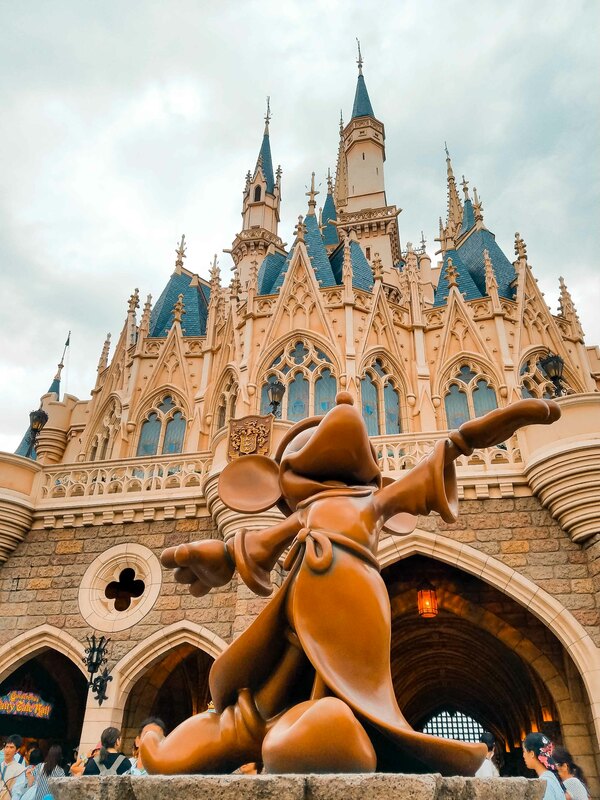 Tokyo Disney has two parks: Tokyo Disney Sea and Tokyo Disneyland. Disneyland will feel a lot like the Magic Kingdom in Florida or Disneyland in California. But Tokyo Disney Sea is in a world all its own with unique lands and rides! It’s an absolute cannot miss destination in Tokyo! You can follow Samantha’s adventures on Instagram, Facebook and Twitter. Tokyo Disney: a must for all visitors to Tokyo! So there you have it – some great travel inspiration from my favorite travel bloggers! Have you been to Japan? What are some of our favorite places in Japan to visit? Or are you planning a trip to Japan? Where are you inspired to visit? Do you want to see Yokohama, Kyoto or Beppu? Or is there somewhere else not listed here that you want to see? Such a great point, Michelle – there definitely is something for everyone, regardless of your interests! I’m not a skiing person (I’m sooo uncoordinated, it’s not funny! ), but am sure there are plenty of people planning trips to Japan who would appreciate your tip of visiting Nagano for snowsports. Thank you for sharing!! My husband and I have been talking about Japan this week since we have been spotting super good deals (flights and sometimes flights + accommodations) to Tokyo. This makes he desire to visit even larger. But, I know it is a big place and I may be able to see some of it. I have been living in California for more than 10 years and there is still tons to see. So, I can imagine how much time it would take to know Japan well. Hi Ruth, I hope you get to visit Japan! It’s always so tempting, especially when you come across good flight deals. There’s definitely a lot to see (you can’t fit it all in one trip) but it’s a great excuse to visit again. I agree with your comment about California – I’ve been multiple times, yet my California bucket list seems to be getting longer, rather than shorter! Loved reading this list – it made me want to go back to Japan ASAP! I’ve been so many times (I have family there), but I have yet to go to all the places listed – I’ve been dying to go to Hokkaido for years now, and my dad’s hometown is near Koyasan but I still haven’t made it yet! But Kyoto is one of my most favorite places in the world, and I love Tokyo (because who doesn’t?) and Yokohama. Hi Caroline, you must have such wonderful adventures from visiting family in Japan! I hope you get a chance to visit Hokkaido soon – I’m sure you’ve already heard, but it’s SUCH a beautiful part of Japan (regardless of whether you visit in the Summer or Winter!) Hope you get a chance to visit some of the places on your Japan bucket list soon! I’m hoping to visit Japan in the next year or two. I’m having the worst time trying to narrow down where to go and this post isn’t helping any! 😉 Everywhere looks so amazing but I definitely jotted down a few notes. Koyasan looks really special! Hi Corinne, I’m so excited that you’re planning a trip to Japan in the next year or two! It’s definitely one of those countries where you can get overwhelmed with all the options, and it doesn’t help that public transport is so accessible! Let me know if you have any questions, I would gladly help! I love Kamakura and Yokohama (yes to China town and check out the Kirin beer brewery!) I havetn been to these other spots in Japan. Oh wait, I have been to Tokyo… but its so huge! Im sure there is tons more to see and do. I loved visiting an onsen. that was up in the mountains by Fuji. Not sure what town, we went to one where you can wear swim suits. Sounds like you had a wonderful time in Japan, Harmony – and what a range of experiences! Visiting the Onsen for the first time can be a little daunting, but it sounds like you found somewhere that had a good-in-between for visitors by allowing people to wear swimsuits. I hope you have a chance to visit soon, Dani! I always feel like my Japan bucket list gets longer rather than shorter, even though I’ve visited so many times! We haven’t been to Japan yet but these all look like great options! Love all the ice cream photos! Thank you, Michelle! I hope you get a chance to visit – there are so many soft serve flavors to choose from in Japan! We loved seeing the alligators (crocodiles? I always get them mixed up) in Beppu, and getting buried under warm volcanic sand. Japan has so much to offer!! Japan is one of the countries top of my travel list! This only makes me want to travel there more, I’m definitely going to have to go. Beautiful photos! Hi Meera, I’m so glad to hear you liked the photos! It’s definitely a beautiful country, hopefully, you get a chance to visit soon! Yay! I *love* Japan! Was there a couple of years ago during sakura season and everywhere was so beautiful. I loved Kyoto and Tokyo, but I have a soft spot for Osaka and Kobe, I think. Thanks for sharing – it brought back some amazing memories! I’m already so nostalgic about Tokyo lately (I was there a little bit more than a year ago), you’re making so much worse giiiiirl T_T Now I want to visit every . single . one . of . this . places…………..
I’ve been dying to get to Kyoto and Tokyo for forever. Hokkaido looks unreal! Added to the bucket list. Great post! This post was fun way to get so many perspectives on places to visit in Japan! I enjoyed hearing everyone’s different reasons for their picks! I’m so glad you enjoyed reading the post, Jacki! 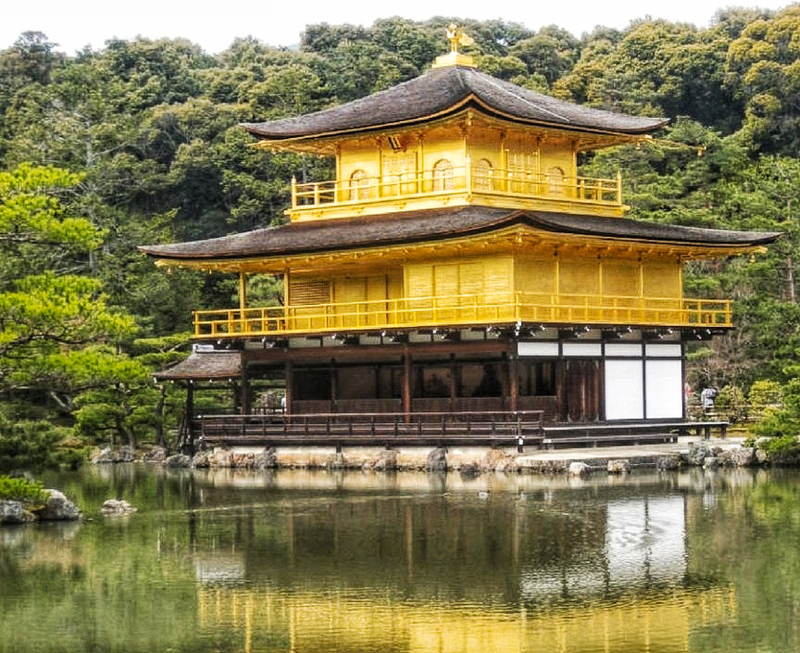 Japan has such a wide range of experiences available – it can be SO HARD to decide where to visit when planning a trip. The struggle is real! Great Post! Love the Tokyo Disney picture ? Seeing this makes me want to go back!